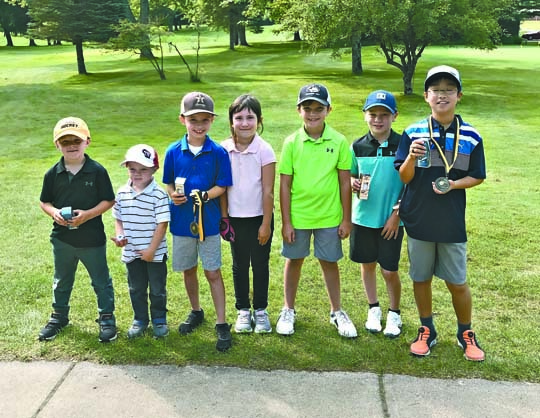 Photo provided to the Daily Mining Gazette Pictured are (from left) Max Pietila, Ty Pietila, Landon Stein, Margot Ryynanen, Lucas Mayra, Max Aldrich, and Ian Hong from the 10 and Under and 8 and Under divisions of the Junior Club Championship at the Portage Lake Golf Course. HOUGHTON — A sense of fall hung heavy in the air before the Junior Club Championship at the Portage Lake Golf Course (PLGC) Thursday. With age groups of 8 and Under, 10 and Under, 12 and Under, 14 and Under and 17 and Under, there were places for golfers of several ages to compete. In order to be eligible for the championship, participants had to enrolled in PLGC’s junior golf program. Paul Sintkowski is the junior golf coordinator for the past eight years and he has worked with this year’s championship competitors all season. He makes sure that lessons are learned by everyone who participates. 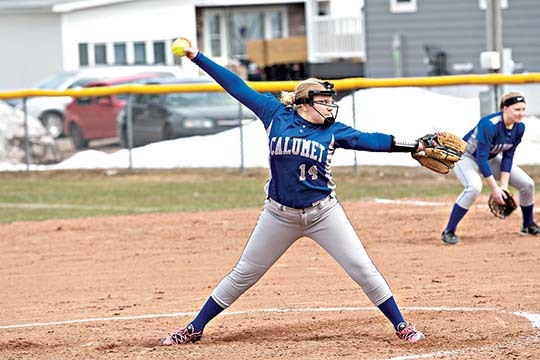 “The kids need to know (that) competition is good,” said Sinkowski. “Our golf tournaments are about the only thing now where there’s going to be a winner and there’s a loser. Many of the participants who played in this year’s tournament have learned how to play together. 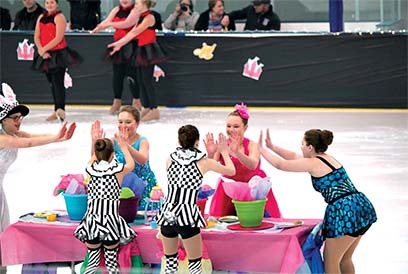 Tournaments such as these can prepare kids for tougher game place when they get older. 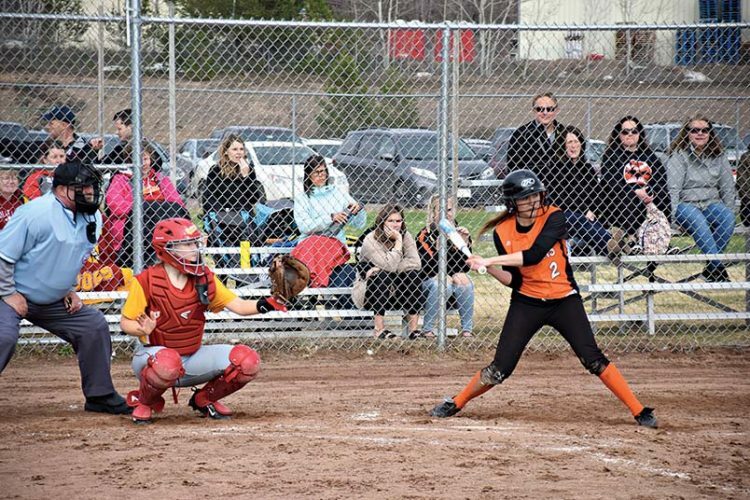 That has been seen at the high school level where players like Houghton’s Wyatt Liston and Hancock’s Payton Dube have taken the skills they learned in the junior program and turned them into success as older teenagers. Landon Stein of Hancock took first in the eight and Under division of the 2018 PLGC tournament with a score of 32. He felt that it was it play around the greens that helped him finish on top. Ian Hong of Houghton was the winner for the 10 and Under division with a final score of 30, Max Aldrich of Hancock came in second with a score of 46 and Lucas Mayra of Houghton came in third with a score of 58. “I’ve been playing for most of my life,” said Hong. “I started playing with plastic putters that you can get when I was two, and then I just started to play more after that. “I think everything went pretty good. I usually I hit this well, it’s just a normal day, nothing really went wrong so it was all good. Hong has already developed a passion for the sport. Hong feels that his game has taken a leap this summer from getting more playing time in the junior program. The 12 and Under division, first place went to Jackson Sintkowski of Hancock with a score of 45. Second place went went to Marino Pisani of Houghton who came in with a score of 50 and third place finish of 56 from Connor Kamm from South Range. In the 14 and Under division, Mika Jalkanen of Dodgeville and Lowell Torola of Calumet tied for first place with a score of 81. Camden Markham of Houghton took third with a score of 86. First place in the 17 and Under division went to Houghton’s Jiseung Choi, who finished with a score of 82. Kyle Maki of Hancock finished with a score of 88, good for second. Hancock’s Evan Labyak took third with a score of 93.